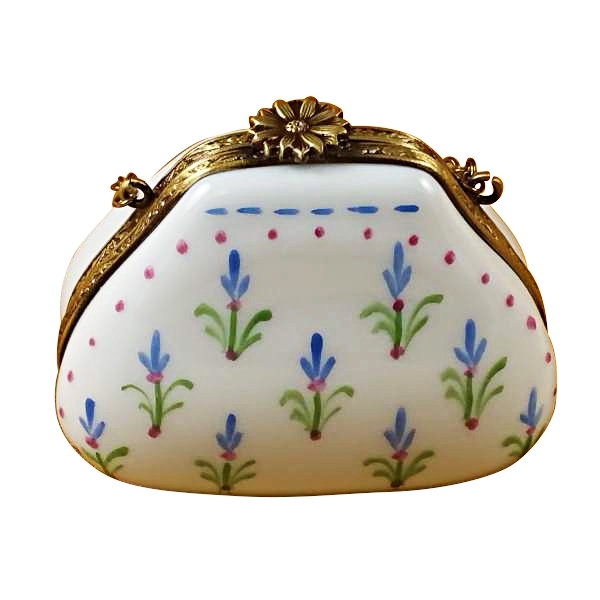 BLUE BONNET PURSE - Limoges Boxes and Figurines - Limoges Factory Co. 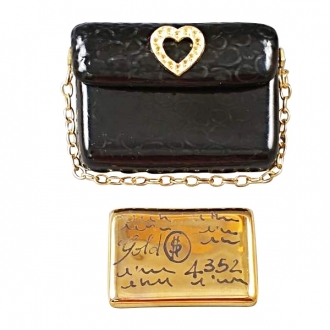 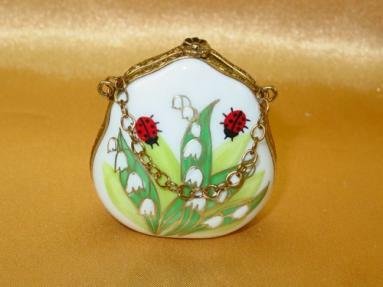 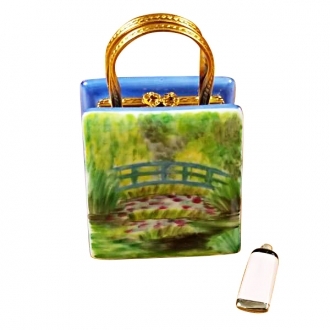 This is another purse-theme Limoges box. 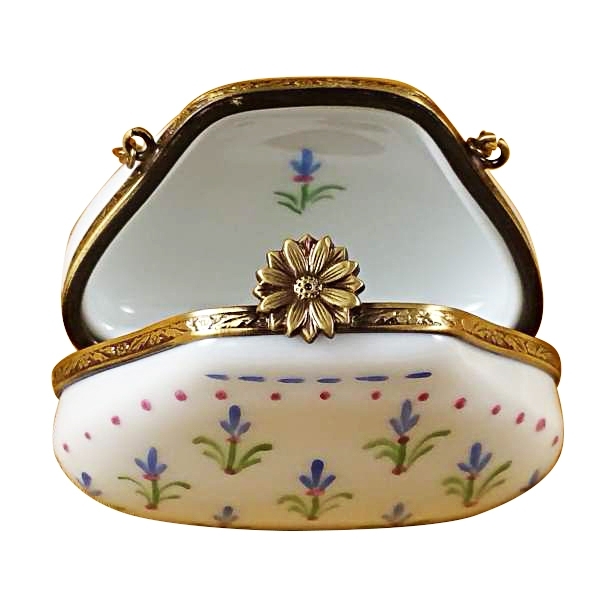 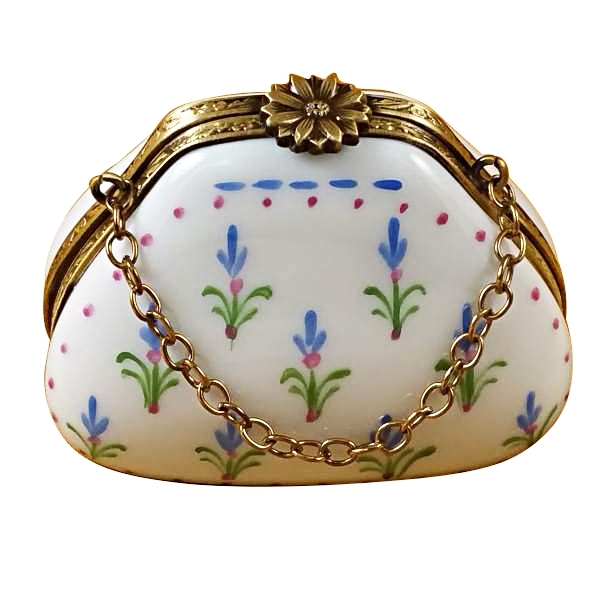 This white Limoges box, painted with charming blue floral patterns looks a lot like a lady’s vanity bag. The silver rims, fastened with a flower shaped clasp, looks extremely charming. 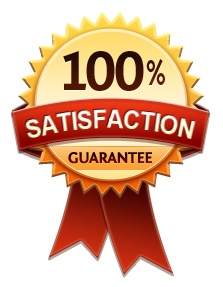 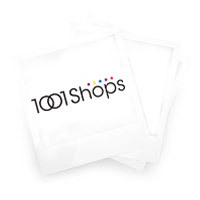 The box is provided with a sling chain also. 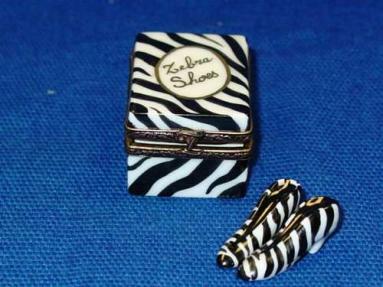 Measurements: 2" х 1,25" х 1,5"